With several variations of the large Komatsu WA600 including Wheel Dozer and Steel Mill specific models, Monster Tires carries every tire size you need for your machine. With these massive machines weighing 60-65 Tons, finding tires that will hold up to the weight and still last a long time may be hard to find. Monster Tires makes it easy by only offering long lasting, heavy duty tires for your Komatsu WA600 Wheel Loader. When you call Monster Tires to get a set for your Komatsu WA600 Loader, you can rest assured knowing you will get the best tires for your money. 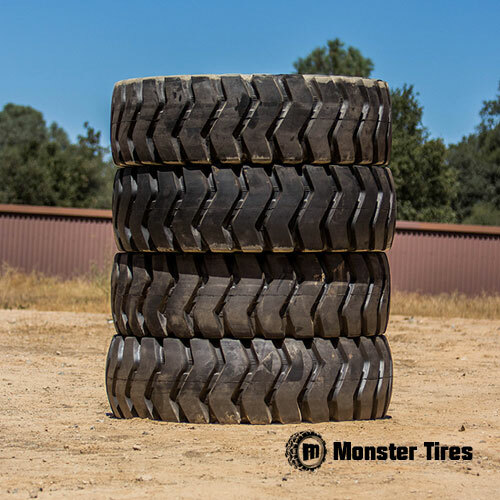 Contact Us today to learn more about how Monster Tires can help save you money.